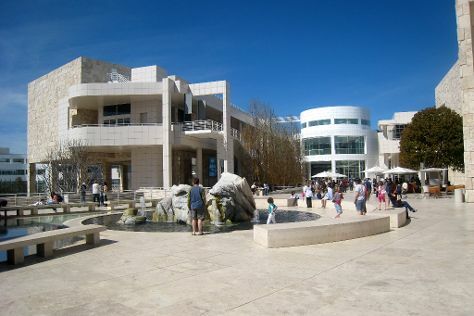 Satisfy your inner culture vulture at The Getty Center and Santa Monica Pier. Get in touch with nature at Santa Monica Mountains and Kenneth Hahn State Recreation Area. Explore Los Angeles' surroundings by going to Anaheim (Oak Canyon Nature Center & Disneyland Park), Santa Monica (Montana Avenue, Third Street Promenade, & more) and Dolphin & Whale Watching (in Dana Point). Next up on the itinerary: enjoy the sand and surf at Venice Beach and Boardwalk, identify plant and animal life at Westridge-Canyonback Wilderness Park, get a taste of the local shopping with Annenberg Space for Photography, and admire the majestic nature at Santa Monica State Beach. To see photos, other places to visit, and other tourist information, read our Los Angeles tour itinerary planner. Expect a daytime high around 75°F in May, and nighttime lows around 59°F. Cap off your sightseeing on the 8th (Wed) early enough to travel back home.